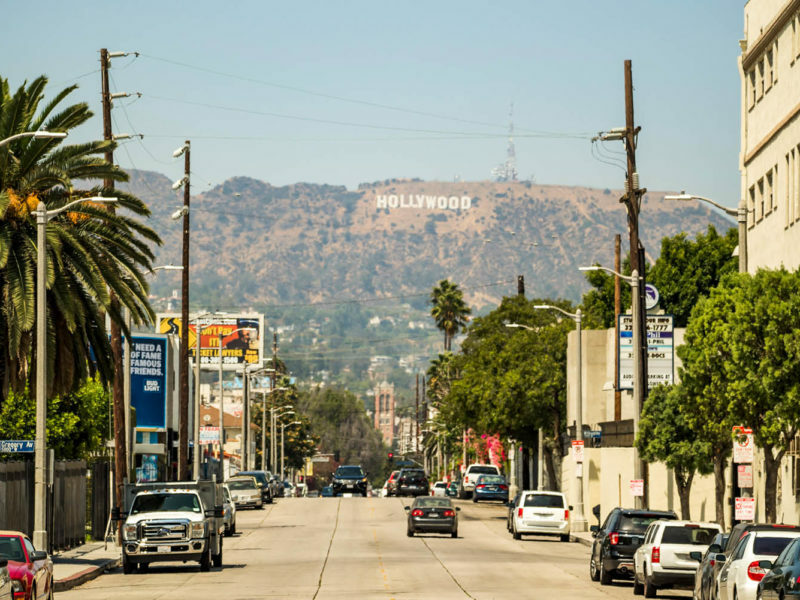 Los Angeles is the perfect place to visit the locations of your favourite films and shows. Immerse yourself in the glitz and glamour of Hollywood by visiting the bars, hotels, restaurants and precincts featured in 2019’s most talked about films and television shows. Los Angeles is the undisputed entertainment capital of the world. It has served as the backdrop to countless award-winning films and television shows since Hollywood first became the central hub of the emerging U.S film industry in the early 1900s. 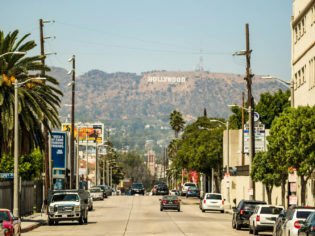 This makes L.A. the perfect destination for film and television buffs looking to experience the locations featured in the most talked about films and shows of 2019. The Virgil features in A Star Is Born, starring Lady Gaga and Bradley Cooper. Could there be a more perfect location for a film about a love story between a rock star and aspiring singer than the city where dreams are made? Locals and visitors to Los Angeles can find the locations of some of their favourite scenes in the movie. The Virgil is the set for first time Jackson watches Alley sing. The Virgil – The popular East Hollywood bar is the location where Jackson first watches Ally perform La Vie en Rose at the drag show. Ally perform La Vie en Rose at the drag show at Los Angeles’ Virgil bar. Greek Theatre – Jack attempts to convince Ally to come with her to his next concert at none other than the Greek Theatre in Griffith Park. Ally decides to take a risk, quits her job and flies to the Greek where Jack convinces her to sing Shallow on stage. A cosier side to The Virgil that we didn’t see as much of in the film. Chateau Marmont – Ally and Jackson share a moment in their hotel room, filmed at the Chateau Marmont, just before the launch of her album while looking out at her billboard on Sunset Boulevard. The Chateau Marmont is the setting for the scent in A Star Is Born when Ally and Jackson look out over her billboard just before her album launch. The award-winning television show may be set in Pittsburgh and the New York tri-state area but it is filmed in the City of Angels. You can find the locations of the show’s most heartwarming and tear-jerking scenes throughout Los Angeles. Nickel Diner in Downtown Los Angeles serves up some mouthwatering sweets. Godmother’s Saloon – ‘Froggy’s’ may be the name of Rebecca and Jack’s local Pittsburgh hangout in the show, but Godmother’s Saloon, located in San Pedro, is the actual filming location. Nickel Diner also happens to be the very diner that Kevin and Sophie share their first kiss in This Is Us. Nickel Diner –Downtown Los Angeles’s Nickel Diner is the place where Sophie and Kevin had their first kiss and where Kevin attempts to win Sophie back in season one of the show. Customers will be transported back to the 1940s in this vintage-style restaurant. Nickel Diner is also the same diner Kevin tries to win Sophie back in season one of This Is Us. Hotel Café –It is the location of Rebecca’s Valentine’s Day show in season one and the venue is a Los Angeles musical landmark in Hollywood. Some of the Hotel Café’s most notable performers include Coldplay’s Chris Martin, Katy Perry, Ed Sheeran and John Mayer. The Hotel Café is the location of Rebecca’s Valentine’s Day show. Openaire is located on the LINE Hotel’s rooftop in Koreatown. The HBO hit series has received countless accolades for depicting a more positive side to life in South Los Angeles than what viewers generally see in mainstream television shows or films. The majority of scenes are filmed in the South L.A. neighbourhood but there are a few hangouts for Issa and friends sprinkled throughout the city. The restaurant was the location of Molly and Issa’s brunch in season two of Insecure. Mavericks Flat –The location of where Issa runs into Daniel in the very first episode of Insecure. Artists such as the Temptations and Marvin Gaye performed at this Leimert Park landmark, and it was once known as the ‘Apollo of the West’ during the ’60s and ’70s when it was one of the foremost jazz, soul and R&B venues in the city. Openaire is Josiah Citrin’s new restaurant (formerly known as The Commissary). Merkato Ethiopian Restaurant – The city’s oldest Ethiopian restaurant plays host to Issa’s birthday party in another episode, starring in a scene between Molly and Issa. Located in Los Angeles’s Little Ethiopia district, this intimate establishment is the perfect place to enjoy a delicious meal. Openaire – Josiah Citrin’s new restaurant (formerly known as The Commissary) is located on the LINE Hotel’s rooftop in Koreatown. The restaurant’s distinctive greenhouse decor makes it instantly recognisable as the location of Molly and Issa’s brunch in season two. Netflix’s original comedy pays homage to the Gorgeous Ladies of Wrestling variety show of the 1980s that was originally set in Las Vegas. Netflix decided to move the show’s location to Los Angeles and as a result it gives us a look into the city’s colourful history. The Pink Motel – To prepare for the show the ladies of GLOW are sent to live at the Dusty Spur, which is actually the Pink Motel in Sun Valley. The retro hotel has also appeared on shows such as Dexter and Drive, and while it is closed for business you can still get an outside look at the location before popping in next door to Cadillac Jack’s Cafe, another popular filming location for GLOW. Ruth and Sam stopped in at the Mayan in Downtown L.A. in GLOW, but you’ll also recognise it from scenes in The Bodyguard and A Night at the Roxbury. The Mayan – When scouting for locations to shoot GLOW, Ruth and Sam stopped in at the Mayan in Downtown L.A. The historic theatre is intricately designed with Aztec features and has also appeared in The Bodyguard and A Night at the Roxbury. It now operates as a nightclub. The Hollywood Palladium’s interior is used as the fictional Hayworth Hotel in GLOW. Hollywood Palladium – The women of GLOW decide to film the first episode at the fictional Hayworth Hotel, which uses the interior of the Hollywood Palladium. The exterior of the Palladium was also used in a different episode of the show as a movie theatre screening Back to the Future. The exterior of the Palladium was also used in a different episode of the show as a movie theatre screening Back to the Future. Sandra Bullock stars in the chilling Netflix movie Bird Box. The 2019 film has taken over Australia’s screens (and memes!) and travellers will be pleased to learn they can visit the Monrovia home from the film, which is located in Los Angeles County. Monrovia House – Monrovia is located 32 kilometres north of Los Angeles, and this seven-bedroom property is the home of Sandra Bullock and her children in Bird Box. The suburb is also the location of numerous other iconic films, including Legally Blonde, American Pie and Never Been Kissed. Travelling to Los Angeles? Here is how you can spend a perfect 48 hours solo in the City of Angels.